Persistent and complex social problems require a comprehensive and integrated approach as well as innovative solutions. 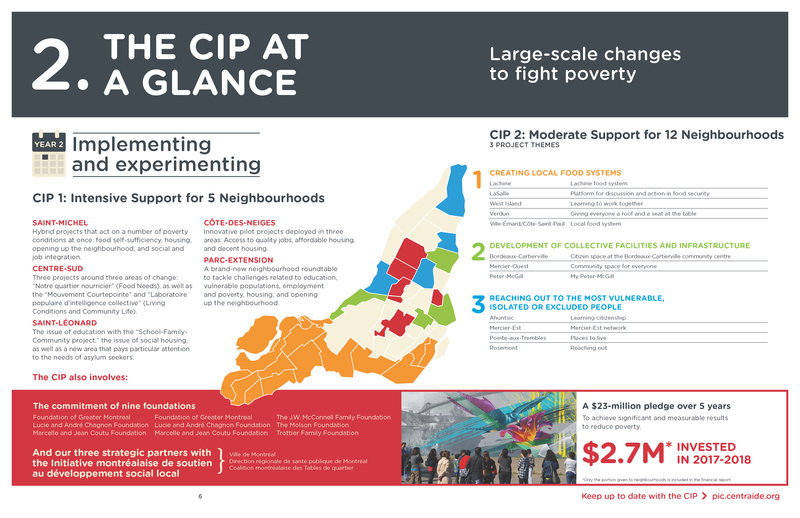 The Collective Impact Project (CIP) proposes a new collaborative model to better support Montreal neighbourhoods in their fight against poverty and social exclusion. Nine major foundations, three strategic partners (the Coalition montréalaise des Tables de quartier, the Ville de Montréal and the Direction régionale de la santé publique de Montréal [DRSP]) have joined Centraide of Greater Montreal for this project. Together, we are coordinating support strategies to help neighbourhoods achieve more significant results in the fight against poverty. The partner foundations have committed to providing $23M over five years. 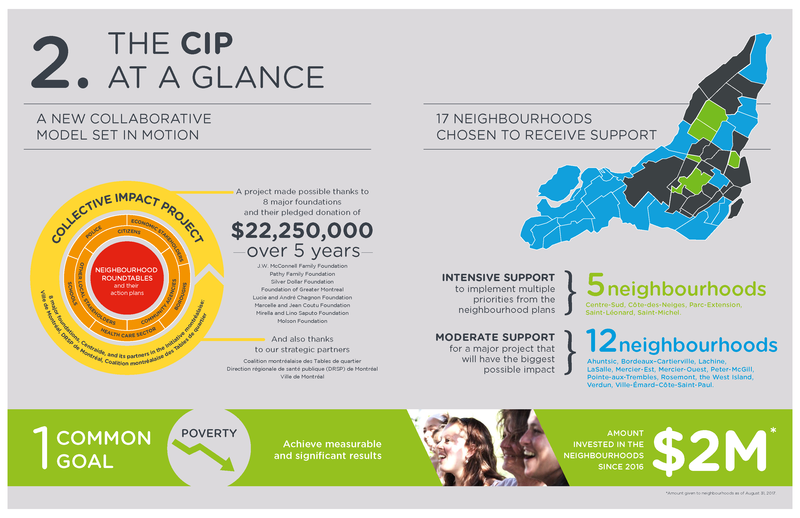 In 2016/2017, the CIP supported 17 neighbourhoods to help them carry out their neighbourhood action plan using a comprehensive and integrated development approach. 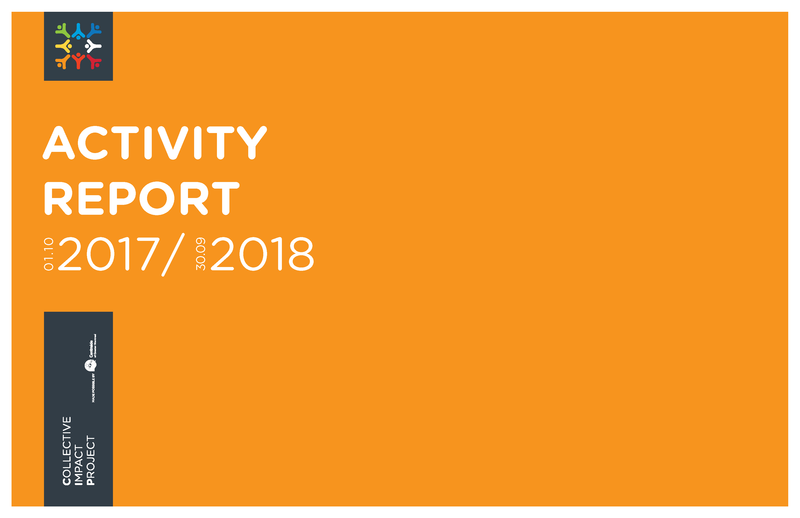 The supported projects were defined collectively and included the voices of residents and various local stakeholders, such as community agencies and representatives from the boroughs as well as the health, education and economic sectors. 5 neighbourhoods were targeted for intensive support. Many priorities from the neighbourhood plan will be supported. These neighbourhoods are working to clarify their strategy for change, conduct planning, and implement an evaluation approach. These neighbourhoods are Centre-Sud, Côte-des-Neiges, Parc-Extension, Saint-Léonard, and Saint-Michel. 12 neighbourhoods were targeted for moderate support. One main project will receive support. These neighbourhoods are working to collectively define the components of the neighbourhood plan that will have the biggest impact in their community and to clarify their goals, strategies, and evaluation process based on needs. These neighbourhoods include Ahuntsic, Bordeaux–Cartierville, Lachine, LaSalle, Mercier-Est, Mercier-Ouest, the West Island, Peter-McGill, Pointe-aux-Trembles, Rosemont, Verdun, Ville-Émard–Côte-Saint-Paul. 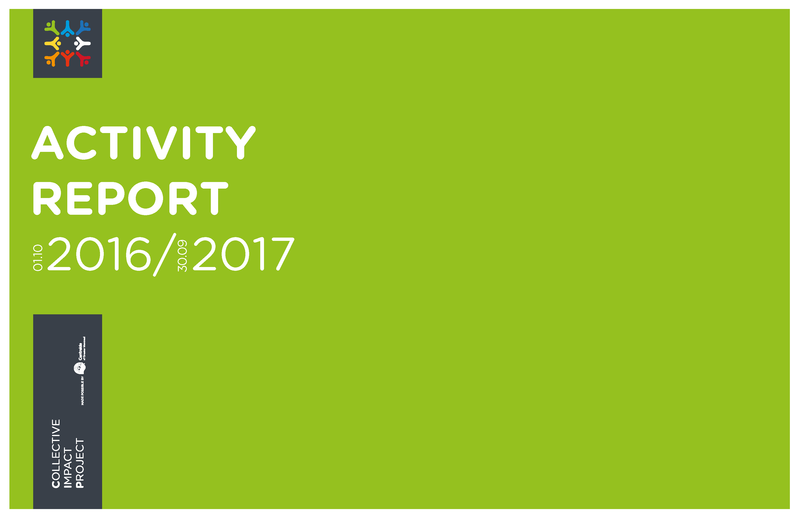 Priority actions identified collectively to improve the living conditions for the residents of Montreal’s neighbourhoods. Do you live in a neighbourhood that is participating in the Collective Impact Project? Do you want to get involved, share your concerns and ideas, or simply get more information? Don't hesitate to contact your neighbourhood!